Just a short walk or drive north of downtown Chicago, and set along the Lake Michigan gorgeous shoreline, is the Chicago Gold Coast. The name Gold Coast implies that the area is one of the country's richest neighborhoods. 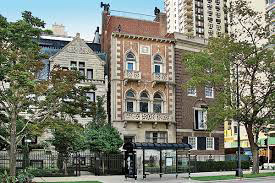 The picturesque Gold Coast streets are lined with historic mansions, luxury condos, restaurants, bars and specialty boutiques. This area is very popular for residents and visitors. Popular Oak street beach is the main beach and then The Magnificent Mile is just across the street with Oak Street, an upscale shopper's dream stroll. The stores include internationally known shops, swanky boutiques and rare designer selections.The magnificent mile area is lined with award winning restaurants and bars to satisfy any appetite or taste. At night Rush street will give you the high energy and selection you crave for fun and entertainment.